Two-way radios consistently prove to be an essential communication solution no matter the industry. The versatility of the system makes these devices applicable to school campuses, large hospitals, and even factories and warehouses. The wide range and strong reception permits radio users to receive and transmit information quickly, all while over reliable frequencies. If you’ve been using radios in the workplace, you have likely experienced a spike in productivity stemming from more fluid communication. Radio systems simplify communication, enhancing coordination and efficiency. Overall, your decision to invest in this communication solution proves its worth rather quickly in the short term. But what about the pay off in the long-run? Two-way radios expected seven year life span suggest that the value of the equipment will definitely result in a return on investment. The best way to protect your investment and maximize its functionality is thoroughly maintaining the headsets. Most radios systems come standard with a rechargeable battery that can be placed in the charging dock that are ready to use with the signal of a green status light. However, not everyone uses charging docks exactly as they should, and some radios often idly sit on the dock, continuously charging. Overcharging is a major contributor to diminishing the batteries long-term value. Because rechargeable batteries don’t die in the standard sense like normal batteries do, determining when to replace them isn’t as clear. 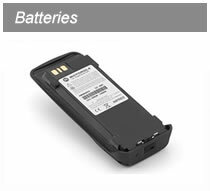 With time, and poor battery maintenance practices, your batteries will weaken. Two-way radios are an easy to use technology and great investment. With daily use, proper maintenance and care procedures, your radios will last for years. Need more information about two-way radios systems? Contact Chicago Communications today!